Hearing aids, although still external devices, can greatly improve speech detection and understanding. One must remember that hearing aid benefit relies on the neural re-programming, i.e. the brain re-wiring itself, which must occur with regular use of the aids. Unlike eyeglasses where an instant clarity is achieved, hearing aids can take up to month to fully adjust to, which is why hearing aids have a 30-day trial period. The most important thing is that the patient consistently uses the hearing aids so that the brain can rewire itself to learning the sounds it hasn’t heard in what is likely a long time. In addition, one’s own voice will sound different which will also take some getting used to. Once this is achieved, so is success with the hearing aids! People most often notice that because they do not have to strain as hard to hear and understand what is going on around them, they are much less fatigued and exhausted by being in situations where they need to hear to enjoy the company of others. 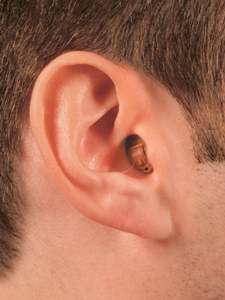 Typically, if you have hearing loss in both ears, two hearing aids are recommended due to the fact that the unaided ear may become worse as it is not being as stimulated. Also, detecting where sounds are coming from (localization) is most easily done with two ears/aids. When both ears are equal, we are better able to reduce background noise by more easily detecting the signal over noise. If you are considered to be a candidate for hearing aids, Raritan Valley Audiology offers the latest technology at multiple price points, ranging from the most basic digital hearing aids to the most sophisticated sound processing. Based on the configuration (or type) and severity of your hearing loss, appropriate recommendations will be made with regards to hearing aids. 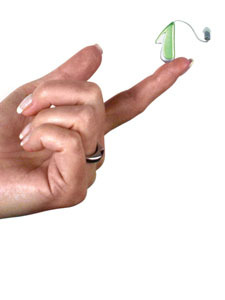 For example, if you have hearing loss only in the high frequency range, an open-fit mini behind-the-ear (BTE) or receiver-in-the-ear (RITE) hearing aid will likely be recommended. Otherwise, you will usually have the choice between an in-the-ear (ITE) or behind-the-ear (BTE) with a custom earmold style*. 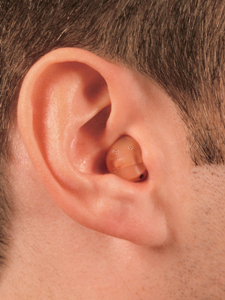 If you have a minimal hearing loss, a completely in the canal (CIC) style may be appropriate. We are also set to receive training in placement of new, invisible, deep-canal, style hearing aids which fit further in the ear canal. 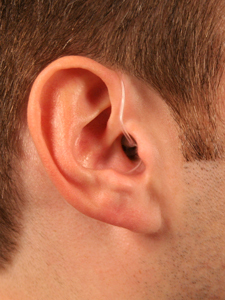 Some types are designed to stay in the ear for several months at a time and to be changed in the office. We offer an all inclusive and personalized hearing aid package which includes hearing aids, fitting and orientation, and two follow up appointments in the first month just to make sure you are adapting well and not having issues. For your convenience, battery supply for one year is included. *Below you will see examples of the hearing aids listed above. Please note that before having earmold impressions taken or being fit with hearing aids, it is HIGHLY recommended that you ask your physician (primary care or ear-nose-throat physician) to remove wax from your ears. This will prevent delay of taking earmold impressions in order to have the hearing aids ready for you in the most time efficient manner. Audiologists in NJ cannot perform this service. If you currently have a hearing aid that is less than 6 years old, we will do our best to repair it for you. If the repair cannot be completed in-house, it will be sent to the manufacturer or another repair facility for prompt processing. We offer a large array of amplified telephones, alarm clocks, and TV headsets. 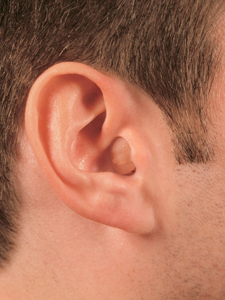 We will take impressions of your ears and have custom earmolds made for you. A variety of colors and even swirls are available. Reasons for this type of protection include perforated eardrums or recent pressure-equalization (PE) tube placement to keep the ears dry. Noise damage preventing earmolds are also available for individuals such as hunters, pilots, or anyone who is regularly in a noisy environment. In addition, we do offer products for the music professional, such as musician’s plugs.